Harlingen High School South senior Megan Adair received the FFA Lonestar State Degree – the highest degree of membership the state FFA Association can grant – at the 2017 FFA State Convention in Corpus Christi, Texas. Adair is only the seventh State Lone Star Degree recipient from Harlingen South and the school’s first since 2004. To qualify, the candidate must meet strict leadership, education, and project requirements; all documented meticulously in a digital record book. 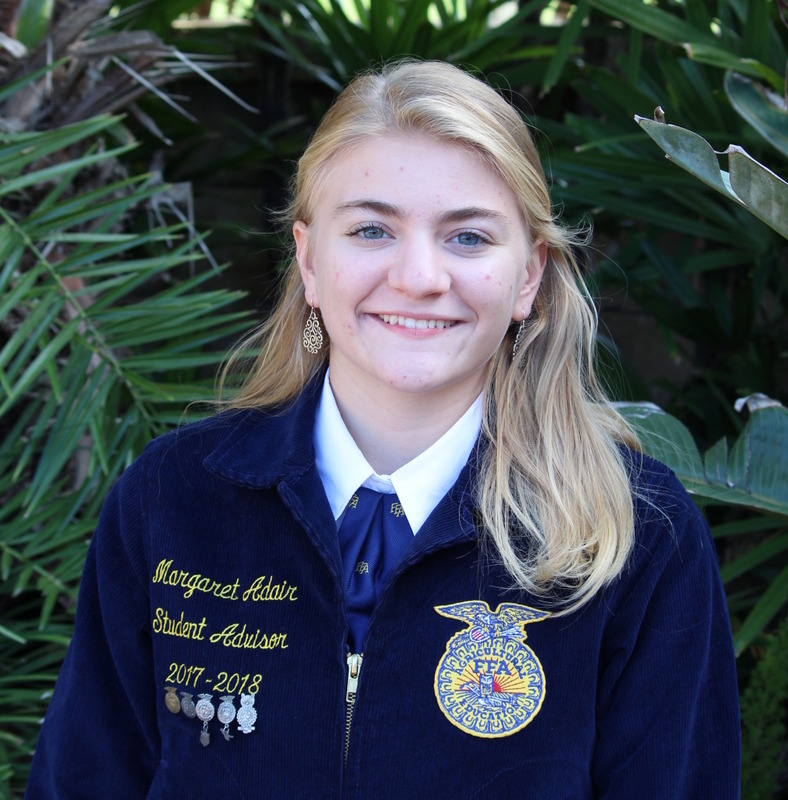 It is her passion for FFA and Ag Education that has driven her decision to pursue a degree in Interdisciplinary Ag Science and Secondary Education at Sam Houston State University in the fall. Adair will be graduating from Harlingen South in the top nine percent of her class this June. She has qualified for State three years in a row through Future Business Leaders of America’s Agribusiness competition, is a member of National Technical Honor Society where she is the chairperson of community service and fundraising, is a member of National Honor Society, and was Texas Farm Credit’s January Ag Student of the Month. She is currently pursuing her State Proficiency Degree in Small Animal Production and Care, which is a competitive process through the District, Area, and State levels. The Agricultural Proficiency Awards program encourages members to set personal goals and learn practical skills. The program provides recognition to FFA members at the local, state and national levels for exceptional accomplishments and excellence in their Supervised Agricultural Experience (SAE) program. There are 51 proficiency award areas that individuals can apply for, ranging from Agricultural Communications to Wildlife Production and Management. Adair’s documentation has passed the Area check and is bound for State approval. Proficiency awards will be presented at the State Convention in Ft. Worth in July.